Scientists now think they know how Uranus got to be an oddball planet that spins on its side: It was pushed over by a rock at least twice as big as Earth. 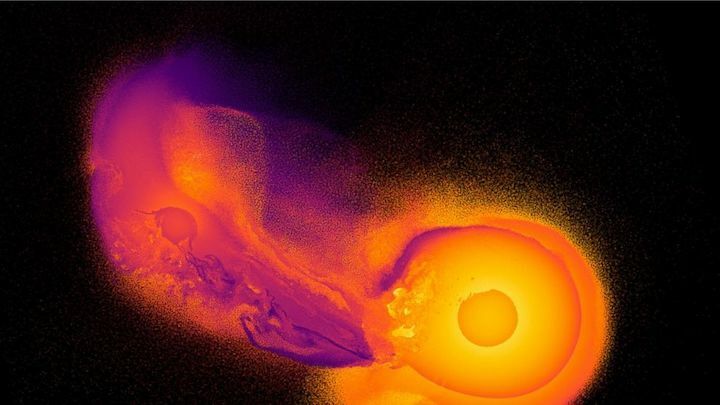 Detailed computer simulations show that an enormous rock crashed into the seventh planet from the sun, said Durham University astronomy researcher Jacob Kegerreis, who presented his analysisat a large earth and space science conference this month. "It's very strange," said Carnegie Institution planetary scientist Scott Sheppard, who wasn't part of the research. Ice is key with Uranus and its neighbor Neptune. A little more than a decade ago, NASA reclassified those two planets as "ice giants," no longer lumping them with the other large planets of the solar system, the gas giants Saturn and Jupiter. Uranus and Neptune "are definitely the least understood planets," Sheppard said. "No one laughs when I say Uranus," NASA's Green said. "They have to mispronounce it to get the chuckles."